This Express Yourself is all about ceramics. 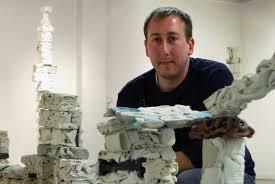 One artist, Matthew Eames, produces sculptural work for large installations. The other, Frank McGuirk, produces functional work. Both are associated with the Carbondale Clay Center, and both extol the virtues of that bedrock Carbondale arts organization.